Trikot 2017/18 West Ham United 2017-2018 Away. 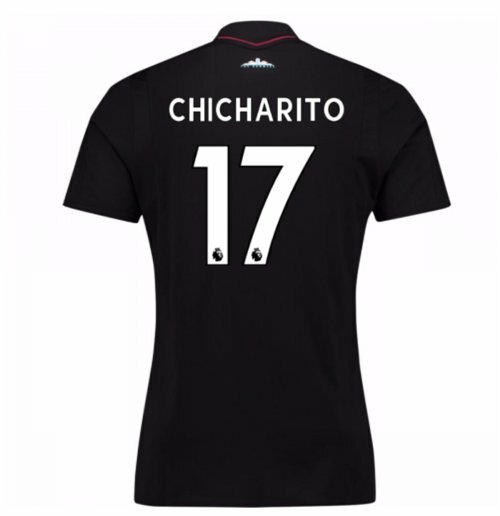 2017-18 West Ham Away Shirt (Chicharito 17). OfficialJavier Hernandez footballshirtfor the West Ham team. This is the new West Ham awayshirtfor the2017 Premier League season which is manufactured by Umbro and is available in adult sizes S, M, L, XL, XXL, XXXL and kids sizes small boys, medium boys, large boys, XL boys.This West Ham footballshirtis black in colour and comes withJavier Hernandezshirtprintingon the jersey.